The Hero Shot is a 13 hour video tutorial on product photography taught by Commercial Photographer and Digital Artist Brian Rodgers Jr. This video is a digital download and can be watched immediately after purchasing. The video files in this tutorial are unlocked and can be watching on a computer, phone, tablet, or TV. Who is Brian Rodgers Jr.
Brian Rodgers Jr. got into product photography shortly after leaving a corporate career working on a 3D team. In 2016 Brian became a part-time writer for Fstoppers.com and within just a few months became the highest rated product photographer on the Fstoppers Community. Brian has taught himself the skills needed to produce world-class product photography without the need for a studio or expensive gear. Chances are, you don't have a big studio. Well, neither does Brian. He shoots products for companies all around the country out of his home studio. 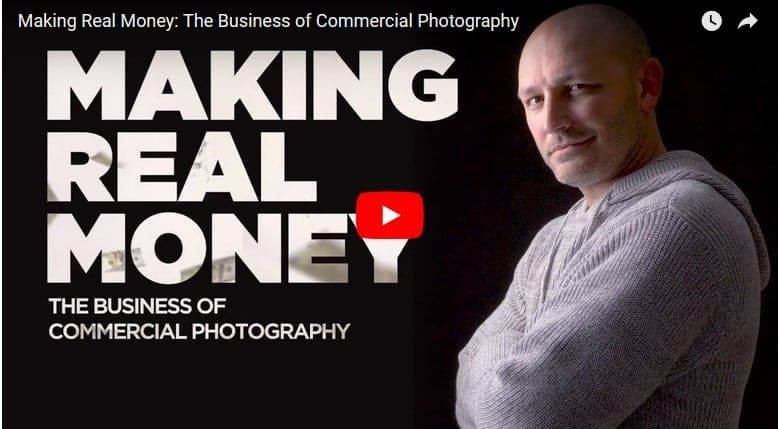 For the first lesson in this tutorial Brian wanted to prove that capturing an incredible shot doesn't have anything to do with your studio or your gear. 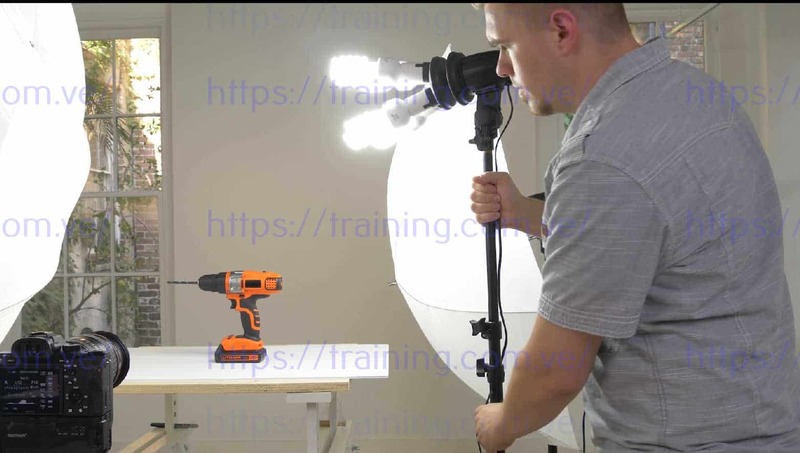 Brian uses three inexpensive lights to create a product image of a cordless Drill. By combining a few different exposures and adding a background in Photoshop, he was able to create this image. 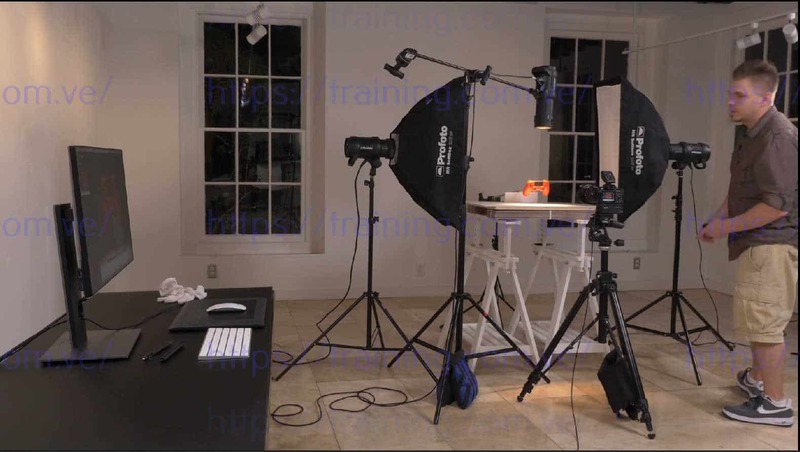 For the next shot, Brian uses another cheap option for lighting; speedlights. By lighting a single perfume bottle and then duplicating it in Photoshop, Brian was once again able to come away with a simple, yet beautifully lit photograph without relying on expensive gear. Whether you like it or not, Photoshop is an absolute necessity in the world of product photography. Almost every image of a product you have ever seen in an advertisement has been created with some sort of compositing techniques. 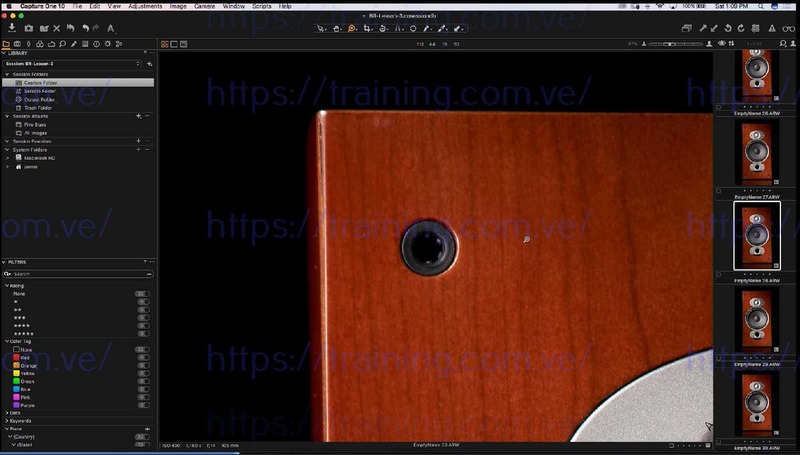 For that reason, a large part of this tutorial takes place in Photoshop where Brian teaches the techniques he has mastered to produce professionally edited photos quickly and easily. All of the files that Brian uses to create his shots will also be available to you for following along in Photoshop. Brian is adamant that the gear you use does not matter and that almost any camera, lens, and lighting system will work. So for the sake of this tutorial, Brian uses a range of different gear to help you master his techniques regardless of what equipment you own yourself. Brian shoots with a Sony A7RII and a Canon 24-105mm lens but he always tethers his camera to a computer. This allows both Brian, and you the viewer, to view each shot directly through his camera. Every time Brian moves the product or a light, you'll be able to see and understand how the changes affect the overall product shot. For the lighting in this tutorial, Brian uses a variety of light sources including hot lights, speedlights, and Profoto strobes. The light itself doesn't really matter, but the modifiers are important and throughout this tutorial Brian uses countless store-bought and DIY modifiers to sculpt the perfect light. After watching this tutorial, no matter what your budget is, you'll be able to use the tools you have to replicate Brian's style. 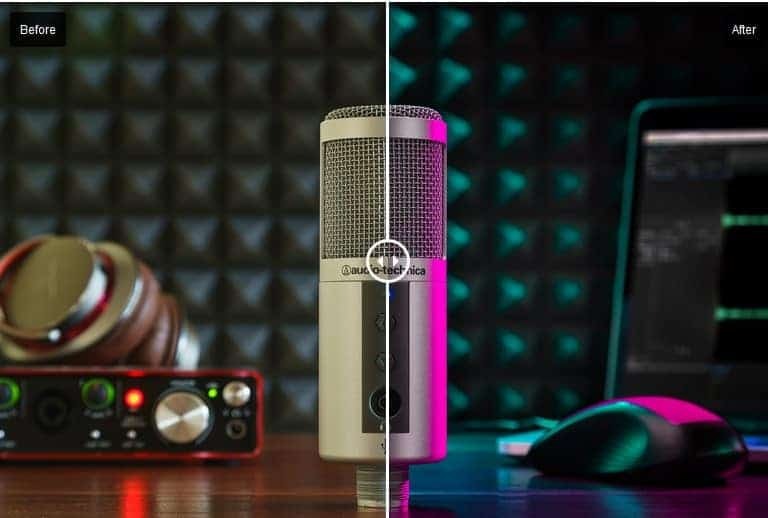 You might think that shooting a pair of speakers would only require a single shot, but Brian shoots all of his products separately. This gives him total control in post-production to change the composition after the shoot is over. If the client ever wants to make a subtle or extreme change in the final product photo, Brian's method makes it extremely easy to give the client exactly what they want. We've all seen images of products levitating but how do they do it? Sure, you could cut it out in Photoshop, but if your product is laying on the ground, you won't be able to light it realistically. Brian uses a dowel rod attached to a video game controller to "float" it above his set. After adding a simple background in Photoshop, he was able to turn a well light image into another incredible advertising style photograph. When shooting small products with a macro lens, depth of field may become an issue. For example, when shooting a watch, most brands want every aspect of the watch to be tack sharp. Brian teaches his favorite way to light a watch while also focus stacking the image to make sure the entire watch is as sharp as possible. Shooting reflective objects can be the most difficult part of product photography. Brian wanted to film an entire lesson on reflections and decided to shoot a set of cutlery, the most reflective, and oddly shaped products imaginable. Using a few techniques and DIY lighting modifiers, he was able to control the reflections and come away with a clean and elegant final shot. For the final shot, Brian wanted to take all of the information taught in this tutorial and use it to stage and light a complex set. In the end, he was able to come away with a great looking image straight out of the camera but with a little bit of Photoshop, he was able to perfect it into something portfolio worthy.